Located near Daylesford in Victoria, Australia in the little village of Blackwood, is the beautiful Garden of St Erth. 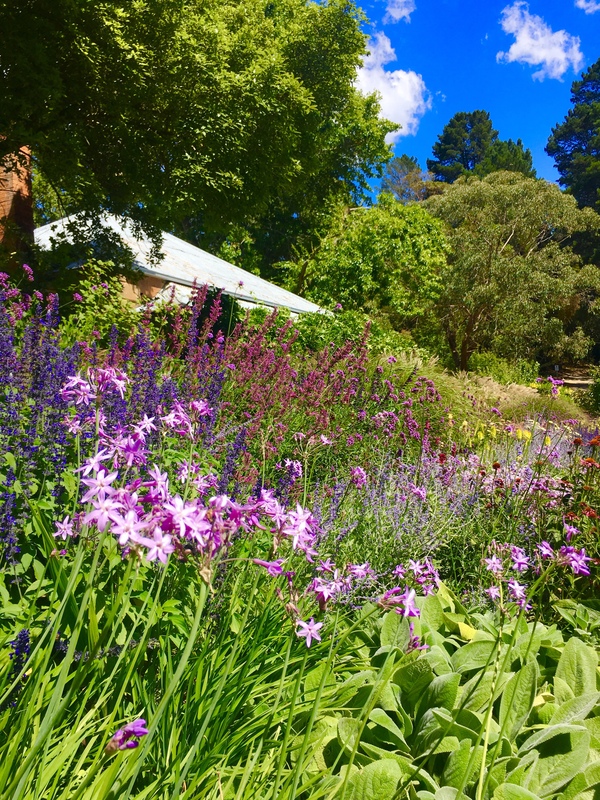 The historic house and garden is home to 3000 varieties of trees, flowers, fruit and vegetable plants and is surrounded by the Wombat State Forest which attracts a range of native birds and wildlife. The six acres of gardens feature many rare and unusual plants alongside more traditional plants and flowers. We love wandering through the garden on a sunny day, enjoying the colours and perfumed air as the perfect anecdote to today’s fast-paced living. There is also a lovely cafe onsite which is great for coffee, lunch or afternoon tea and a nursery selling a variety of plants, heirloom seeds and bulbs. While there is no bad time to visit early spring and summer are our favourites – in spring there is a carpet of daffodil bulbs in bloom and in summer a stunning floral perennial border frames the homestead. For more information on the Gardens of St Erth including opening hours click here. Love gardens? Click here for Claude Monet’s garden in France and here for another of our favourite gardens in Australia. Some of our favourite gardening books for inspiration can also be found here. Gorgeous gardens and beautiful blue sky! Thank you for taking the time to visit and comment. Her gardens looks so beautiful, how lucky to have been able to spend time there. Visiting her website now to see more about her writing and books! The gardens are absolutely gorgeous! It reminds me of the Minnesota Landscape Arboretum. Over the years it has brought us many days of joyful meandering. That sounds like one we need to add to the list to visit! Oh, my, what a beautiful place. Does a gardener’s heart good to see it. This place looks so pretty – I live in Victoria and I can’t believe I have never seen/heard this place before!